The doctors at our Professional Vision have extensive experience in the pre-operative evaluation and post-operative care of LASIK and other vision correction procedures. 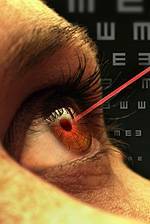 If you experience dry eye syndrome, LASIK might not be for you. Ask your eye doctor at Professional Vision in Carney and Timonium, MD for more information.